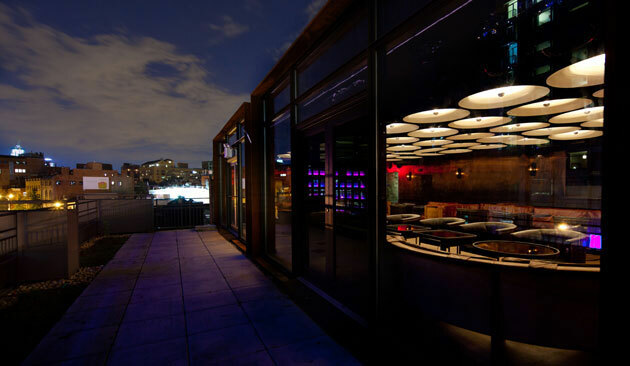 Catch Rooftop lounge brings the exclusiveness and prestige that many lust for in the Big City. 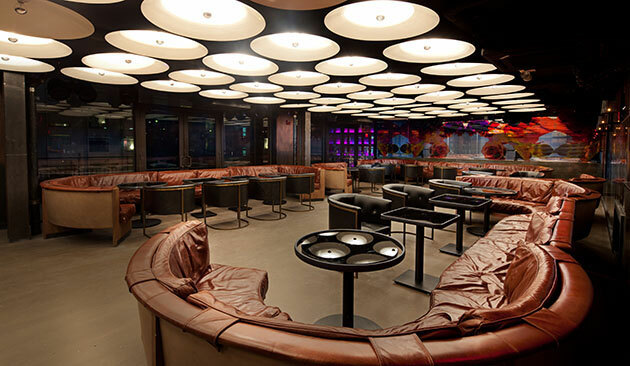 This club offers 270 degrees of arial views over the beautiful West Manhattan skyline. A popular celebrity hangout spot, this club keeps a tight door. But with New York City VIP Services, you won't have any trouble getting past the doorman and you can skip the expensive cover charge as well. Once you make it inside, you will see what makes this place one of the most exclusive spots in town. 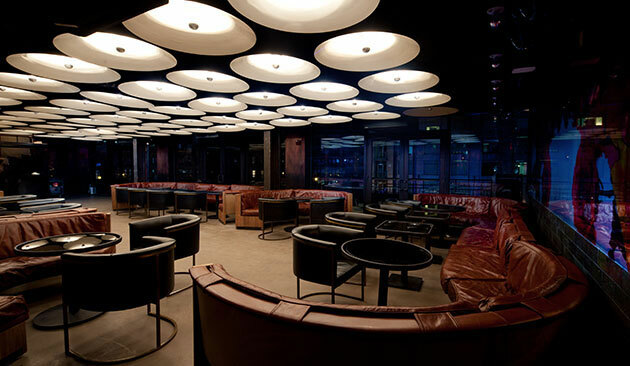 For starters, Catch Rooftop offers a spectacular eastward view from Manhattan's Upper West Side. The mesmerizing view sets a very intimate and surreal energy. There aren't many better ways to enjoy your favorite cocktail than tipping one back as you take in the infinite galaxy of New York City lights. Efficient space heaters keep the outdoor balcony area warm when the temperature goes down. 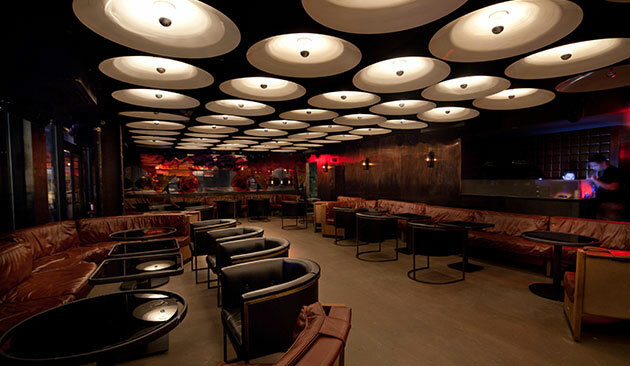 Catch also features an indoor party area that is complete with all the chic and trendy decor that you would expect from a Meatpacking club. Broad cylindrical lamps on the ceiling provide great lighting, making it easier to spot the good looking people you may want to make a pass at at some point in the night and making you into more of a looker yourself. Catch Rooftop lounge tends to attract celebrities and big-wigs in the movie industry which is the majority of the reason this venue keeps such an exclusive reputation. It is not uncommon to see superstars like George Clooney and Penelope Cruz hanging out in the VIP section. Since Catch regularly drafts a star-studded guestlist, it lands itself at the top of every clubber's list. It also attracts a nice lineup of good-looking girls (sidenote - the term "good-looking" in Manhattan is mostly reserved for models, actresses, and other celebs). So if you're looking to mix it up with some nice girls, this may be the place to "Catch" that supermodel girlfriend you've always dreamed of. But like most clubs in Manhattan, you won't attract much attention from the fly girls when you're just mulling around the club like an average Joe. Booking a VIP table is the perfect way to show that you're someone with class and taste. Unfortunately, its not easy for just anyone to make reservations at a club like this but luckily there is New York City VIP Services. New York City VIP Services can get you the best seats in the house where you will be able to party it up in the comfort of your own table or booth. Call or email New York City VIP Services today for more information on how to get your reservations locked in at Catch Rooftop. Our customers receive awesome deals on bottles at the club. Additionally, our customers never have to pay the annoying cover charge or wait in line. We have all the connections you need to get you hooked up at Catch so you can party with the world's most famous celebrities at a fraction of the cost. Call 315-212-5068 today or email info@newyorkcityvipservices.com to get your reservations set up at Catch and get ready for a night out in Manhattan VIP style!